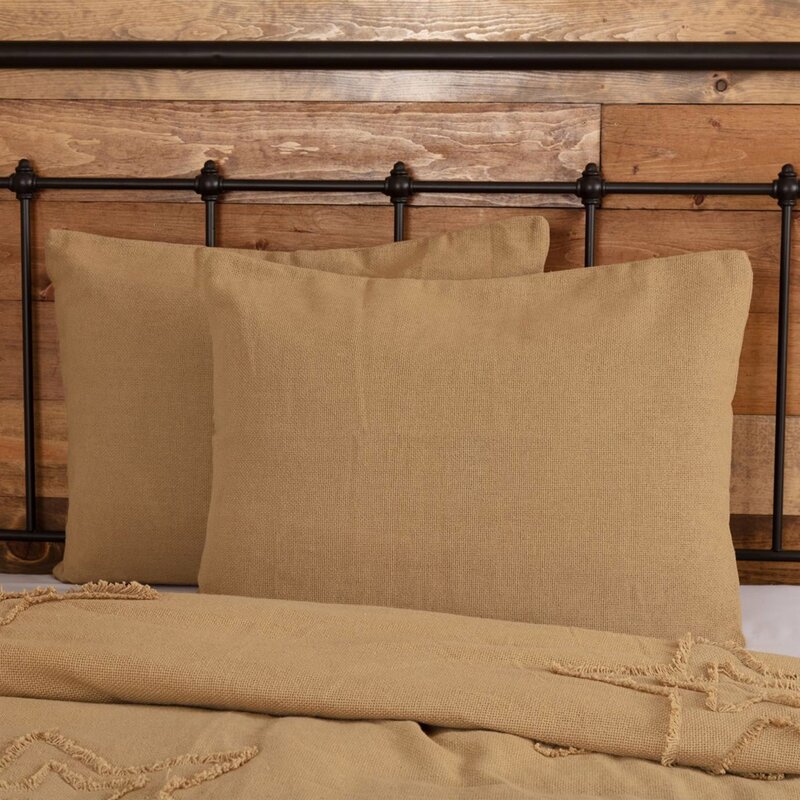 Burlap Natural Standard Sham from VHC Brands | P.C. Fallon Co. The Burlap Natural Standard Sham is made of soft cotton burlap material for a touch of rustic charm in your decor. Sham features a lightweight poly lining to keep it from distorting shape and your pillow from showing through the open weave. Turned edge seam. 21" x 27". Reverse is same soft cotton burlap with a 3" overlap secured with three buttons. Pillow fabric is 100% cotton. This item is imported. Please note, colors may appear differently in different resolutions and on different computers. From The Victorian Heart Collection made by VHC Brands. Manufacturer's UPC code is 840528103100.